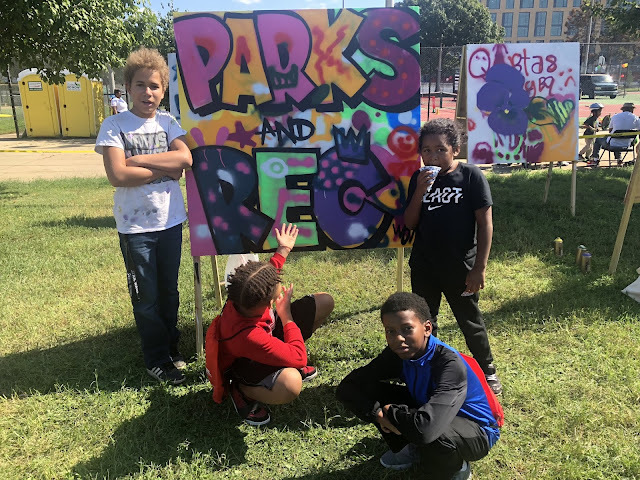 DPR will celebrate National Parks and Recreation Month with “DPR Recreation Day,” an extravaganza of fun activities, entertainment and food for the whole family. Come enjoy music, swimming, tennis, skating, arts & crafts, soccer, basketball, softball, gardening tips, moonbounce, dodgeball, horseshoes, face painting, sack races, tug of war and more including: Talent Search and a All Star Kickball Challenge. Asad will be mentoring those interested on painting on multiple easels.